What an awesome April 7th in Tacoma! Our first FULL Band Tacoma Show! The United By Music North America band is in our 6th performance year in the U. S. has enjoyed audiences at the National Blues Museum in St. Louis, WoodSongs Old-Time Radio Hour in Lexington, KY, Hard Rock Cafe Memphis, Club 152 On Beale, Alfred’s on Beale and Wet Willie’s Memphis, TN during The Blues Foundation’s IBC Week in Memphis. numerous festivals and events in Portland including Waterfront Blues Festival, Bite of Oregon, Portland Rose Festival and Artists Repertory Theatre and internationally in The Netherlands at United by Music’s Spring Concert Series. 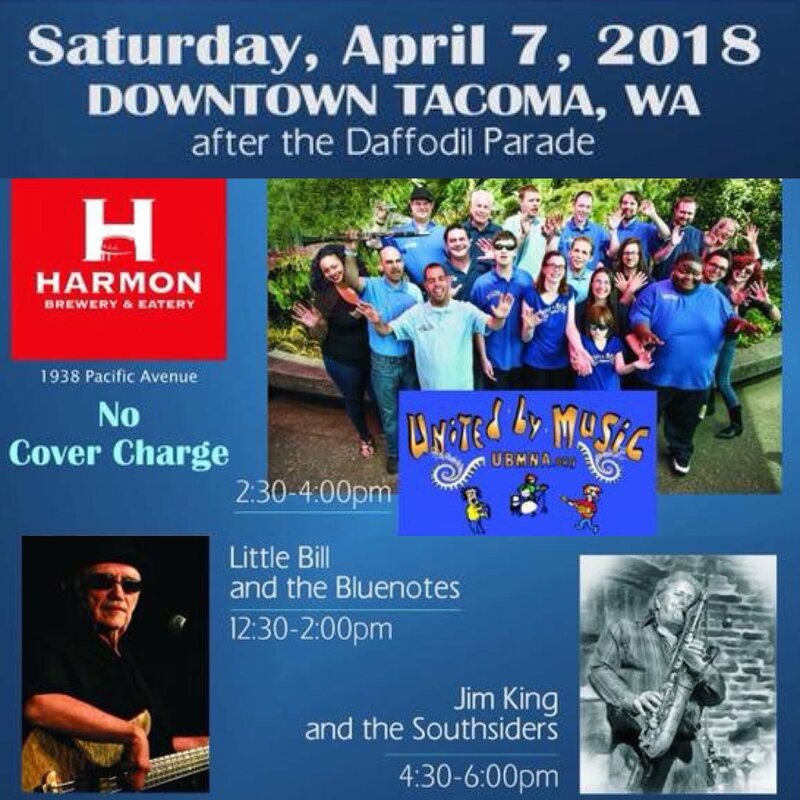 Super excited to play at Harmon Brewery & Restaurant in this NO COVER 2:30-4:00 PM show during Gray Sky Blues Music Festival, The Swiss & The Harmon BONUS! Long-time friend of UBMNA, Harmon founder and CEO Pat Nagle will be on hand to introduce us to his feasting guests! Great beer & Food and super Music & Friends! Sure hope to see you there! More Music during the festival is at The Swiss Pub!